This recipe is time consuming but worth it. For turning the squash mixture into a soup, I use a food mill instead of a blender (this one in particular) – this works well for most soups I make, and if it’s for an occasion where presentation is important, I also put the soup through a fine sieve to make the texture consistent. My favorite part about making this is that there is not much of a mess to clean up afterwards – all of the work can be done in a single roasting pan or cast iron roaster and I often just cut up the vegetables right over the pan with a paring knife without bothering with a board. This is a nice treat for anytime of the day. Basic steps, borrowed from Julia Child’s Mastering the Art of French Cooking: boil some water, turn your oven up to 375F, line the inside of a ramekin with butter, crack two eggs into the ramekin, pour in a little bit of cream or olive oil, add salt and pepper, place the ramekin into a deep sided baking dish, pour the boiling water into the baking dish so that the water comes up to about half the height of the ramekin (this will help the eggs cook through consistently), place the baking dish with the ramekin in it inside the oven for about 10-16 minutes depending on how firm you’d like the eggs to be. There are countless variations and techniques for this, and you can add all sorts of ingredients. At Le Pichet for example, they have a signature egg dish which is baked under a broiler called Oeufs Plats, Jambon et Fromage (eggs cooked with ham and cheese). He began by melting a generous dollop of duck fat in a Dutch oven, the first step in making silky sauerkraut. He pointed out that it’s also important to rinse the choucroute before putting it into the pot: “In the end, the flavor should be delicate, like wine, not brine.” After seasoning the fermented cabbage with salt and pouring in a few cups of dry Alsatian riesling, he added a bouquet garni of bay leaves, cloves, and juniper berries. Now it was time to add the cured pork. There were two types of slab bacon, salty and smoky, and échine, a delicious cut from the back of the pig’s neck that I’m sorry to say isn’t available in the United States. While the pork and sauerkraut baked in the oven, chef Schillinger simmered the sausages on the stovetop: frankfurter-like knackwursts; garlicky, cumin-flecked Montbéliards; and mild, white boudins blancs. A thick round of boudin noir, or blood sausage, was cooked separately and sliced before serving. Note the use of a bouquet garni, an important part of many preparations. If I have leeks on hand, I make them by binding up the herbs into two wrapped leaves. 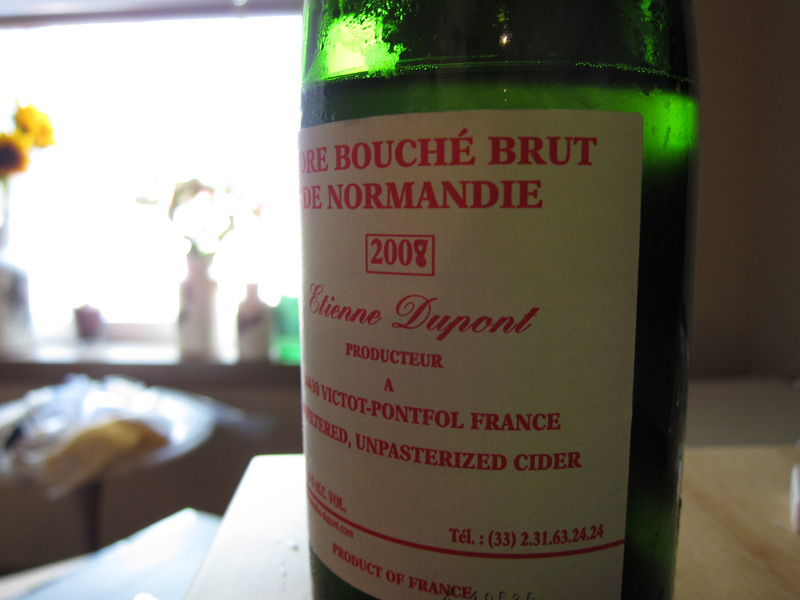 For a drink pairing with this dish, try a hard cider – my favorite being a recent vintage of the common Etienne Dupont Cidre Bouché Brut de Normandie. 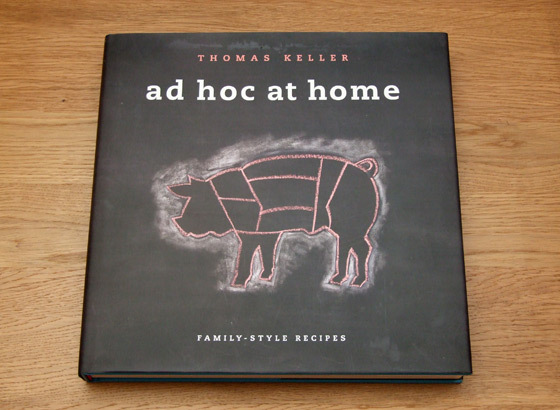 Thomas Keller’s latest cookbook, Ad Hoc at Home, is his most approachable one yet. It’s very true to its subtitle of “family-style recipes” and all of them are easy to do (I’ve successfully tried about a dozen of them so far). 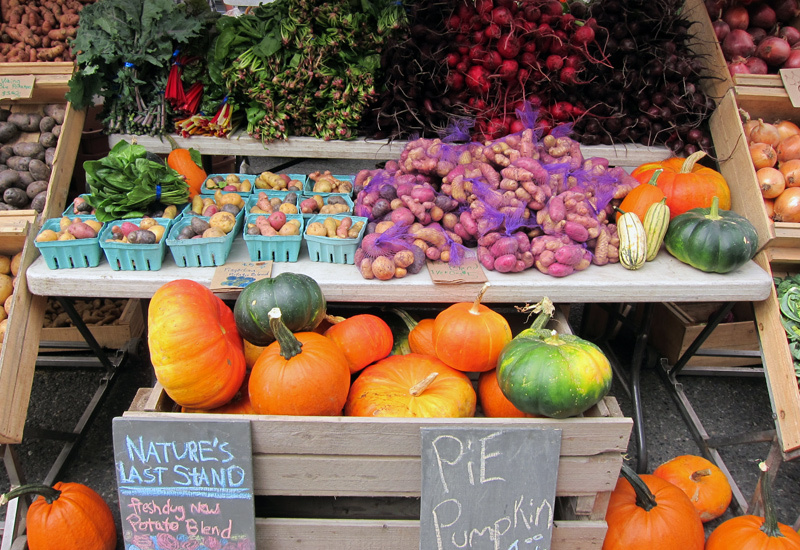 Best yet is that no fancy equipment is needed and just about all of the ingredients that he calls for can be found in most grocery stores. 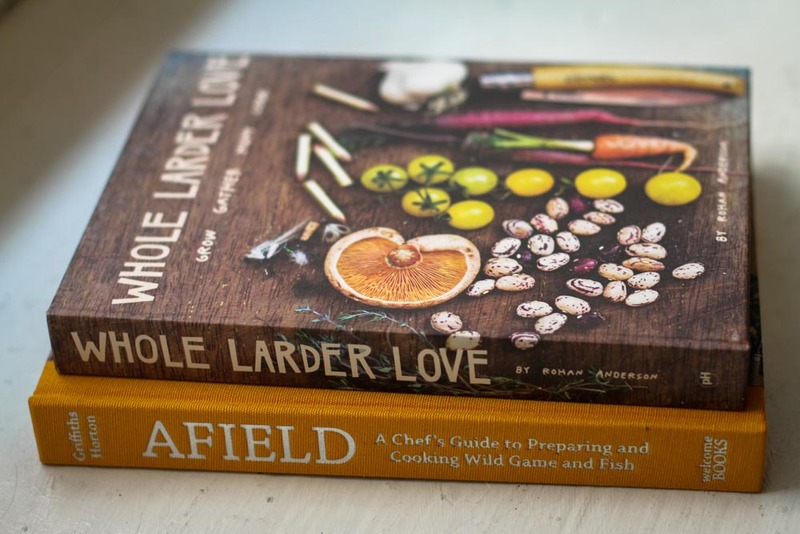 Keller does provide some interesting insights of his throughout the book as well, such as why he prefers canola oil or why you should use palette knives instead of tongs. 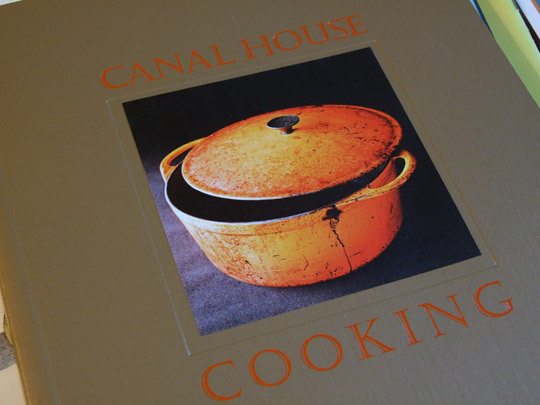 True foodies might be disappointed by this book as it’s not exactly groundbreaking stuff like Under Pressure or French Laundry, but for everyone else it’s an excellent resource of information and would be a good second or third cookbook to have (after classics like Joy of Cooking, and Mastering the Art of French Cooking).